In August 2017, I was awarded one of 10 Pearson Scholarships for Higher Education. When I learned that I would be paired with a Pearson mentor as part of my scholarship award, I was excited to learn the “ins and outs” of the business world. I have had a lot of experience with mentoring, both as a mentee and a mentor to students and Marines. However, I didn’t expect my mentor to be as experienced as he is; Clarke Porter is a successful entrepreneur with a vast supply of business knowledge. While I have a good foundation of discipline and studying habits, Clarke helped me fine tune my time management, prepare for the SAT and guided me through obstacles on the transfer process. As part of the scholarship program requirements, Clarke and I meet monthly to discuss our themed discussion topics over FaceTime. We also check in on each other via text between our scheduled calls. Our overall goal via the mentoring process was to help me identify and achieve my academic and career goals and successfully transfer from community college to a university. As a first-generation student and a veteran, I set my sights on the most significant challenges and push towards achieving it. In the academic and business world two titles shake the ground beneath them; Jack Kent Cooke Scholar and Ivy League education. To attain either of those titles, I’d have to maintain my 3.9 GPA and campus leadership positions while identifying and addressing the needs of my community. As I prepared to transfer from Miami-Dade Community College to a university for the Fall 2018 semester, I set aside four months to study for the SAT (a requirement for some of the schools for which I applied). Clarke and I discussed examining habits and getting the most of my SAT prep time. His daughter had recently taken the exam and earned a high score. Unbeknownst to me, a hefty package arrived at my doorstep a week after that Facetime call. Clarke sent me a complete Kaplan SAT prep course, including a bonus CD with practice exams and best practices for exam day. After receiving my score, I texted Clarke to let him know the great news; with his support I’d scored significantly higher than I did in high school! Equipped with my new score, I began my common app transfer application. During the process I noticed a discrepancy with my transcripts. My community college requires two semesters of a foreign language to complete the Associate’s degree. Perhaps it was my Hispanic last name or the fact that I grew up in South Florida, but foreign language credits were not on my Academic Plan. This threw a wrench into my transfer process, put me at risk for losing scholarships, and left me empty handed with the universities that had already accepted me. Despite facing uncertainty with my academic future, I called my mentor and together we altered my action plan. We researched Fall 2019 application deadlines and requirements, contacted Pearson for an extension on my second scholarship check, and emailed the university recruiters that had already accepted me for an extension and application fee waiver. After I fixed all the immediate issues, my mentor and I discussed ways I could maximize my extra time since I would be remaining at my community college for an additional year. This year I have created my own Leadership club on campus to help students learn essential skills they needed to succeed in school and the business world. 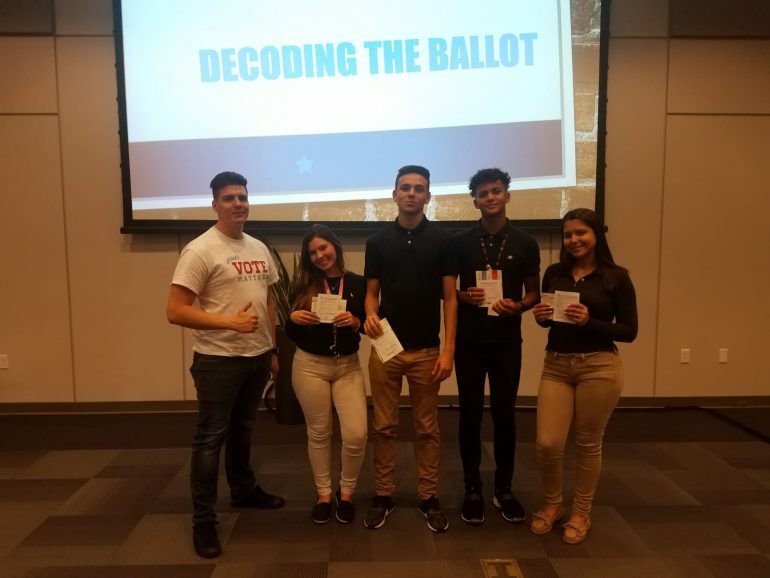 I also accepted a fellowship with the non-profit/ non-partisan organization Campus Election Engagement Program to help register, educate, and engage youth voters; my efforts resulted in the registration of over 400 students on my campus. My mentor has helped guide and support me, even as my academic path took an unexpected detour. I am grateful to have made this connection through Pearson. Victor Garnica served as a Sergeant in the Marines for six years. 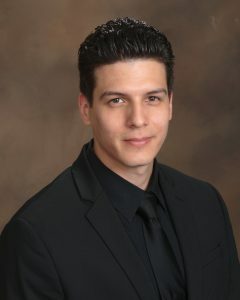 He is currently pursuing an associate degree in Business Administration from Miami Dade College where he also serves as President of Phi Theta Kappa. Victor received the Gold Presidential Volunteer Service Award for his dedication to community service and his contributions as a Mentor to at-risk and new students with MDC Scholars. Victor is a recipient of the Pearson Scholarship for Higher Education, Coca-Cola Military Leader of Promise, and All-Florida Academic Team. He also created a leadership club (LEAD) to enhance students’ skills and marketability in a competitive workforce, and helped educate voters during the midterm elections as a Campus Election Engagement Program (CEEP) Fellow. This is Victor’s second contribution to the Pearson Students Blog. If you are a college student and interested in writing for us – click here to pitch your idea and get started!